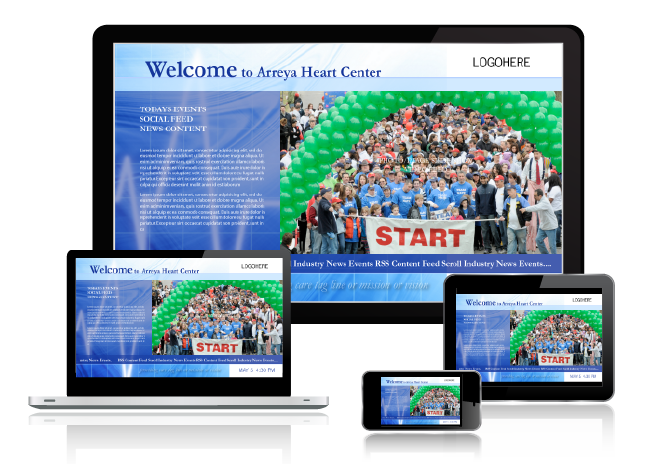 Best Screen For Arreya Digital Signage Display? Finding the best screen for Arreya Digital Signage software is pretty easy, because most screens will work with the addition of a Chromebit. However, for maximum clarity and functionality in your display, there are some things to consider. Chrome devices work beautifully with our software subscriptions, but older screens from other manufacturers can be retrofitted when you don’t have the budget for a new set of hardware. A large part of the decision will depend on the intended use for the screen. Will you just want the signage display to hang in hallways out of reach, but in clear view for passersby? Is it a small indoor monitor or an outdoor signage integration? Will the screen be part of an interactive display that requires a touch screen? Do you want a large screen or a small tablet for your display. Also note that Arreya can be viewed on any device with an internet browser. That means that your channel can be viewed on phones, tablets, and personal computers for no additional cost. If you just don’t know what types of screens and hardware to purchase, we would be happy to give you ideas and prices. You can buy through us, or find the best deal locally. Contact Arreya today at 319-294-6671 or info@arreya.com.